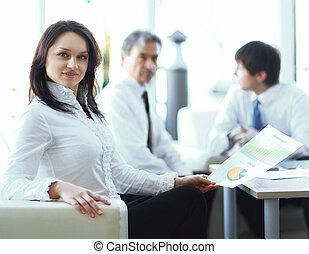 Executive business woman on the background of colleagues. 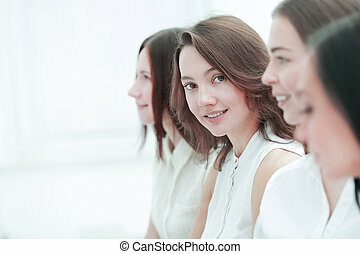 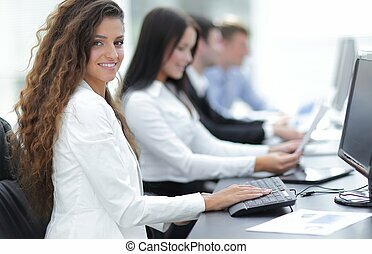 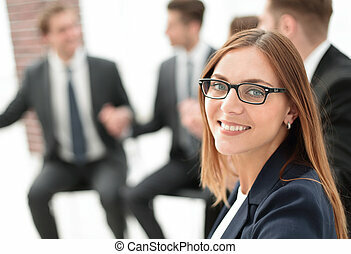 close up.young business woman on the background of colleagues. 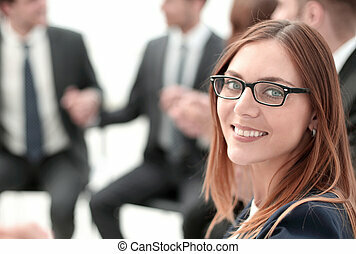 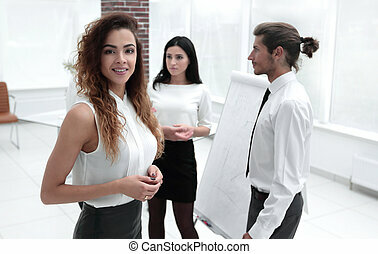 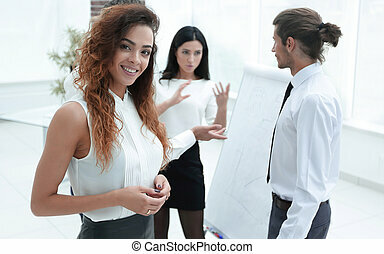 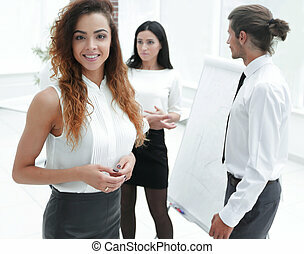 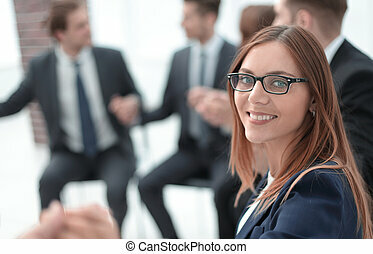 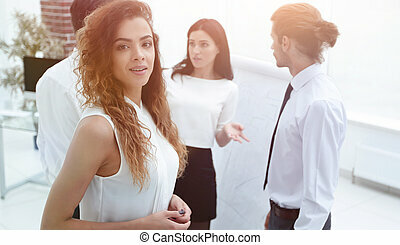 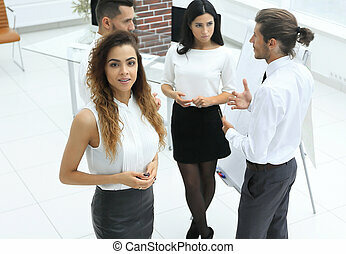 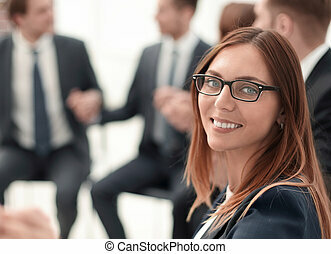 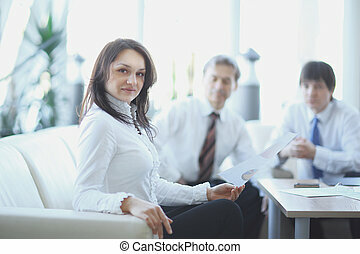 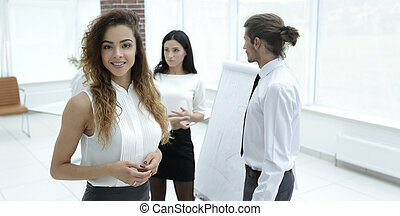 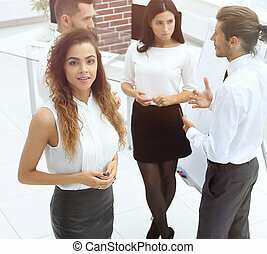 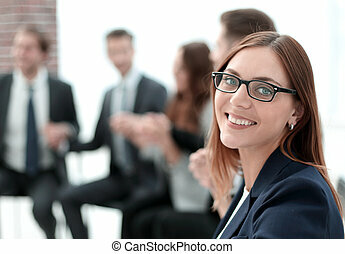 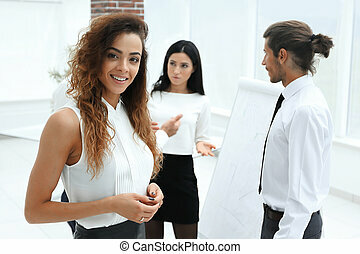 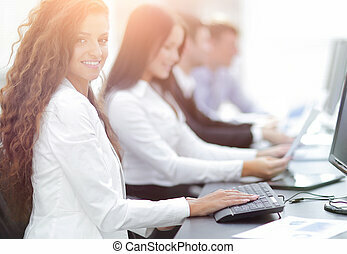 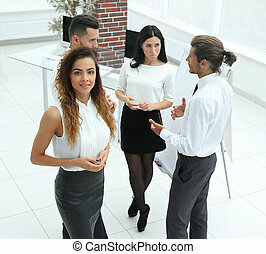 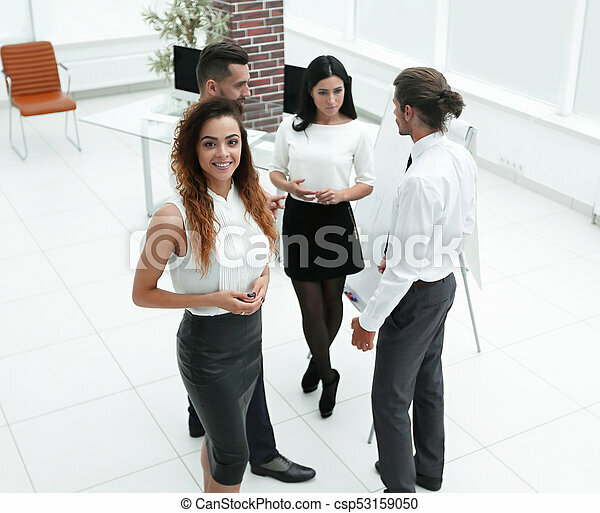 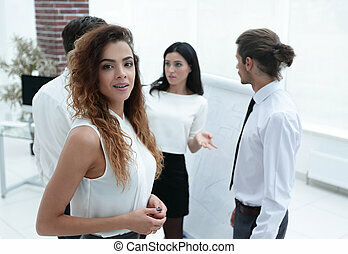 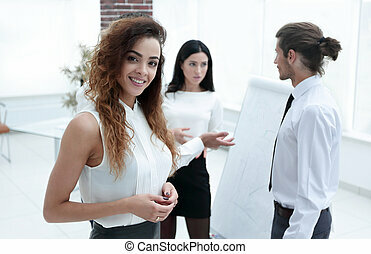 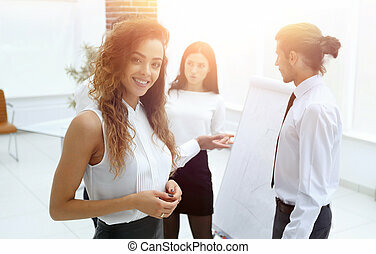 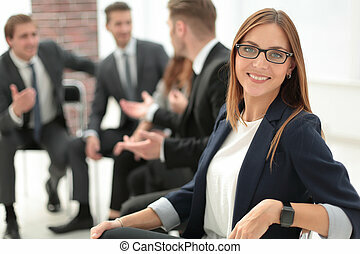 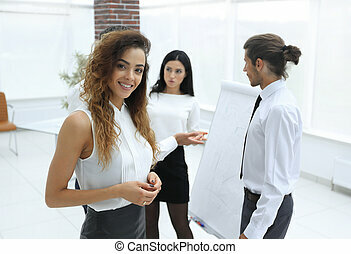 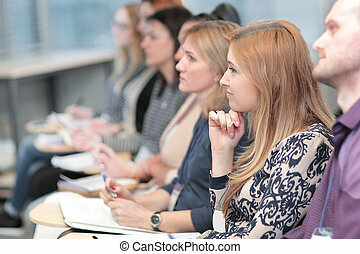 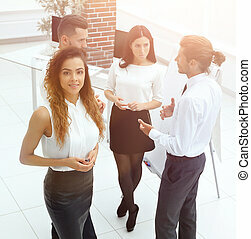 business woman on blurred background of colleagues in the conference room.